I wanted to write to you all with an update on how Linnea is doing. 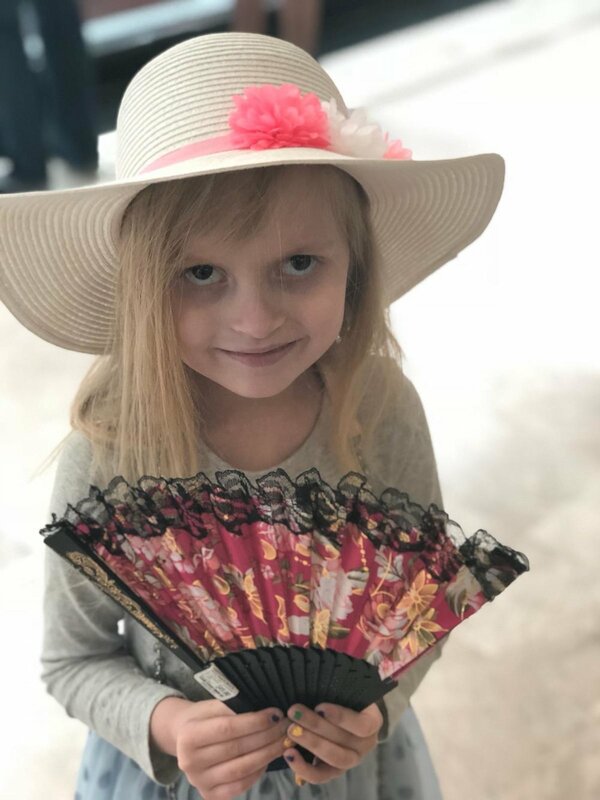 The girls have now been in Monterrey since early april, and what was supposed to be a simple one-week treatment have now lasted over a month because of the radiation therapy. And since the doctors want us to start a couple of immunotherapies they will continue to be in Monterrey for another month. Logistically it is just not possible to travel back and forwards with blood being drawn, cultivated in the lab and then treatment the following week. The ones having it the hardest is Linnea and Kristian. They miss each other terribly with Kristian crying at night telling me how much he misses his little sister, they really are the best of friends and have never ever fought with each other. They support each other and always helps one another. With that being said its easy to understand why me and Kristian will be flying to Mexico next week to be together as a family for the coming month and for the coming treatments. We can't wait to see them! At this point she has now completed more than half of the planned radiation therapy and last week we did a new PET scan of the spinal tumors that are being radiated. We are so happy to say that two of the three tumors in the spine are gone after just two weeks of low dosage radiation. So our fantastic radiation specialist Dr Diaz immediatelly adjusted and re-did the radiation plans, and this week he has been focusing on the third spinal tumor with 10x the radiation dosage. Since the other two responded so well to the radiation he is confident about treating the third. This whole journey is an emotional roller coaster for us, last week we also discovered that the original meningosarcoma in the brain (note: Not the DIPG tumor) had increased a little in activity and size. So after those results, Dr Diaz has now also included stronger radiation next week for treating that spot as well before it grows more in size. Since its likely the root of the spinal tumors he is equally positive about treating that one as well. Unfortunately this has meant some more expenses with extending the radiation treatment and also casting a new mask for next week. Seeing a picture like this of my little girl over in Monterrey, on the other side of the world is gut wrenching to me as a father, I try to console myself with Linnea not being afaraid of the radiation, she's used to it and has even decided herself early on that she is doing the radiation without sedation (no fasting, no smelly gas for sedation, and she gets out of the hospital faster every day). She's doing her part, now we just have to do ours. It's close to one year after Linnea finished her immunotherapy and the immunologist and the doctors want's us to do a couple of more immunotherapies to remind the immune system of how Linnea's tumor looks, and to keep treating aggresivelly to not let this tumor gain an upper hand again. We are very glad for this as it is something we've been planning and wanting as well, however it further increases our financial load. - Please help spreading the word. We've gotten to this point because so many of you have contributed, but money runs out fast. If this word gets to new people, touches new hearts we can share the burden. Linnea is everything for us. Let's do it för her!